Classic stories of gallantry in World War Two. A new edition of Mel Rolfe's successful book containing twenty dramatic but true stories of Bomber Command adventures. Some of them defy belief - like the RAF bomb aimer who was blown out of his Liberator over Warsaw at 400ft without a parachute and made a poignant return in 1989 to witness the unveiling of a memorial on the crash site. Others defy logic - like two men of the same crew who survived a terrible crash, neither aware of the other's existence but both saved by the tolling of the same church bell. All are riveting. 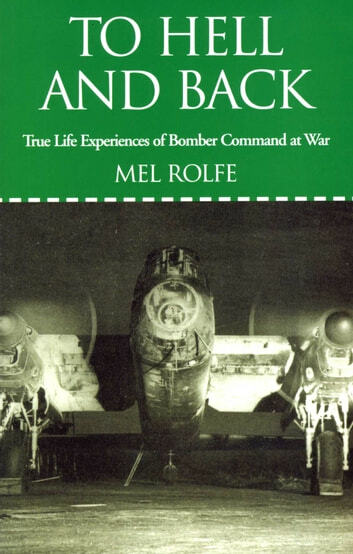 A journalist by profession, Rolfe has conducted his interviews and prepared the stories in such a way as to take the reader into the events as they happened. To read these accounts is to step back into the war itself. Great read, could not put it down. Really well researched.